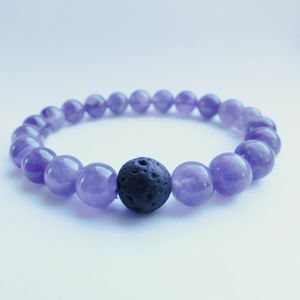 Inspired by the birthstone of February, I created this Amethyst and Lava Bracelet. 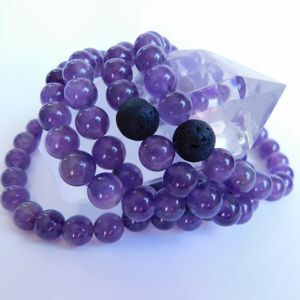 Amethyst is the purple variety of the mineral Quartz, and its most valuable and prized variety. 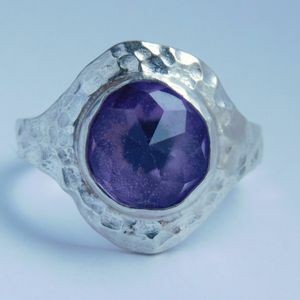 Its name derives from the Greek “amethystos”, which means “not drunken”, as Amethyst in antiquity was thought to ward off drunkenness. 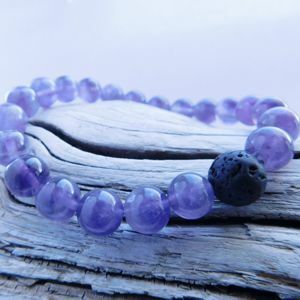 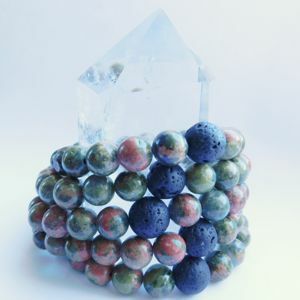 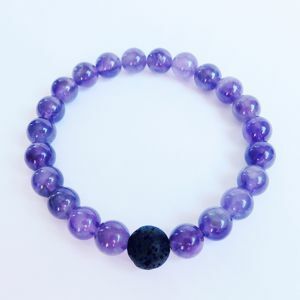 The purple gem is a natural stress reliever that encourages inner strength and peace. 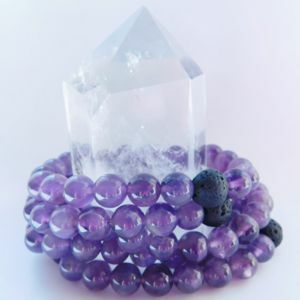 Amethyst crystals are said to bring wealth and invoke a strong business sense to the owner. 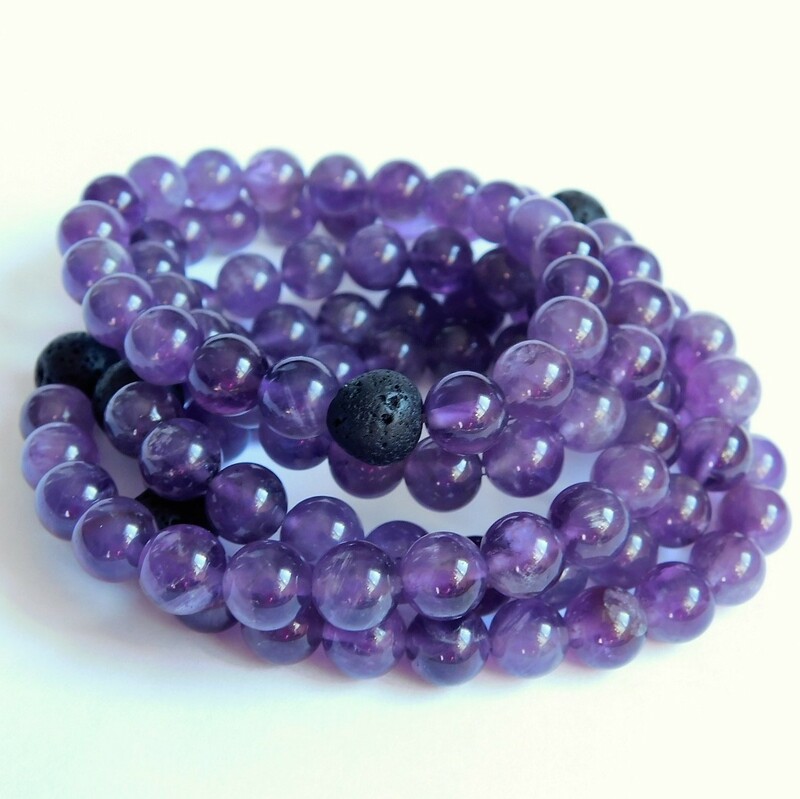 With a hardness of 7 on the MOHS scale, this gemstone is durable and resistant to scratching. 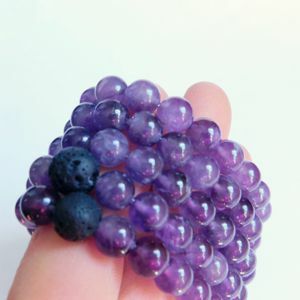 You can clean the gem with most any commercial jewelry cleaner or plain soap and water using a soft brush.